Im sorry, Ive visited here a lot in the last few months but its then easy for me to compare technique. Same parameters as others from this date. 5 x 1 min + 8 x 3 min subs. 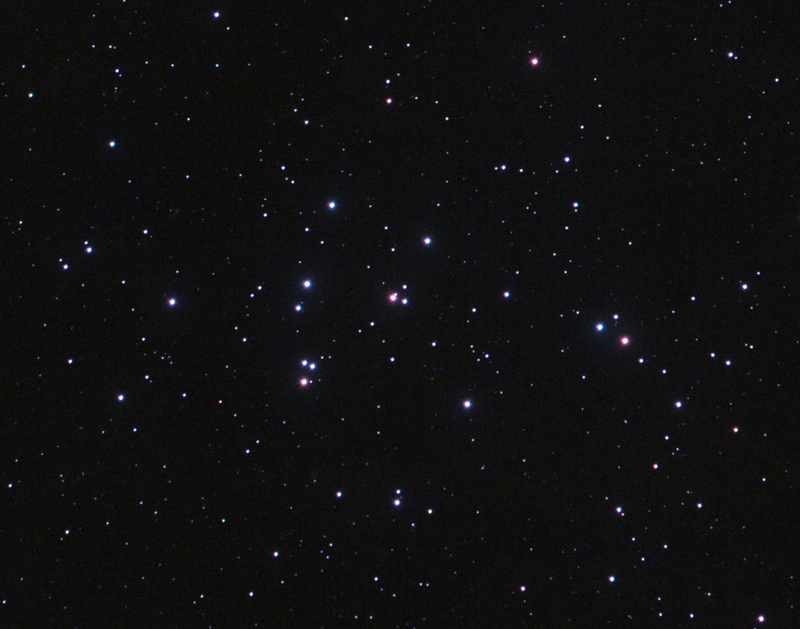 This was my first attempt at 5 minute exposures, so I chose a fairly simple open cluster. The Beehive, a sort of U shape in this image has been known since Roman times when it was called “Praesepe” or the “Manger” – I think thats a better name for it. It lies in the constellation of Cancer and is about 580 light years away. 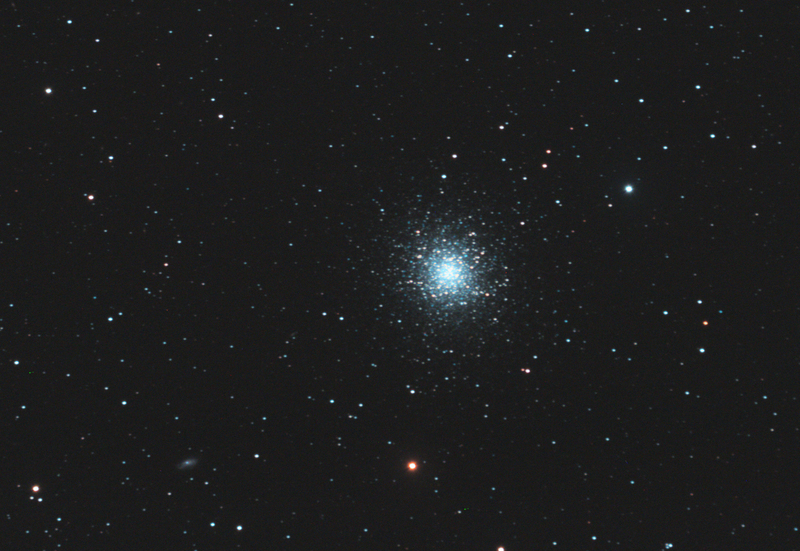 4 x 5 min subs, otherwise same set up as M13 images. A million stars clumped together into a cosmic snowball, some 50 parsecs across. Final result on this target. 6 x 5 min and 4 x 10 min sub-exposures. (1 hour 10 mins). 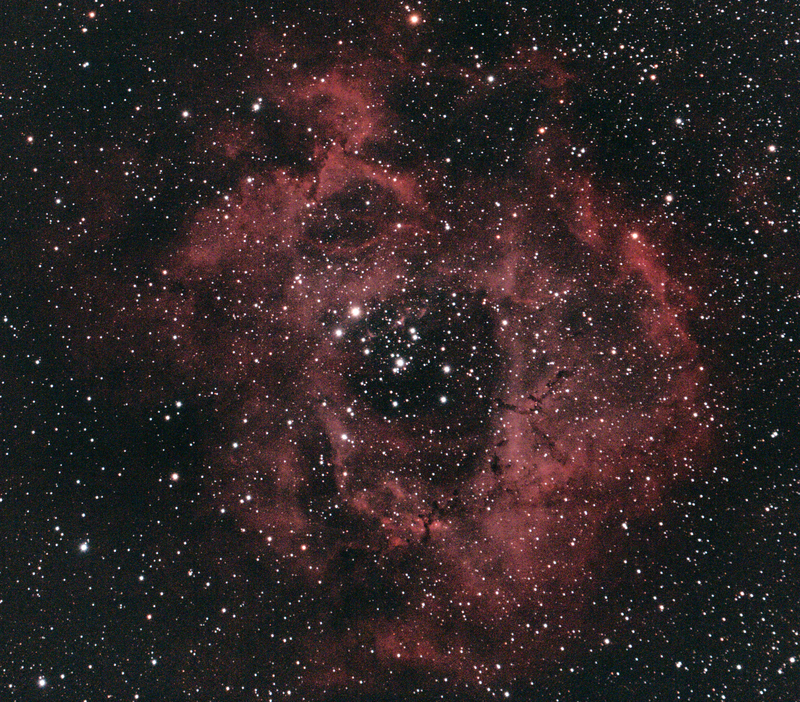 480/80mm f6 refractor. Ioptron ZEQ25GT mount. Autoguided with Orion SSAG/PHD. Canon 60Da @ 800ISO. Post-processed in PixInsight 1.8 and Photoshop CS3. If you click on this image and look carefully at the full size version, you can see the “propeller” or “dark Y” at the core of the cluster. This was first noted at Lord Rosse’s “Leviathan” in Ireland. Spiral galaxy NGC 6207 is visible at bottom left. 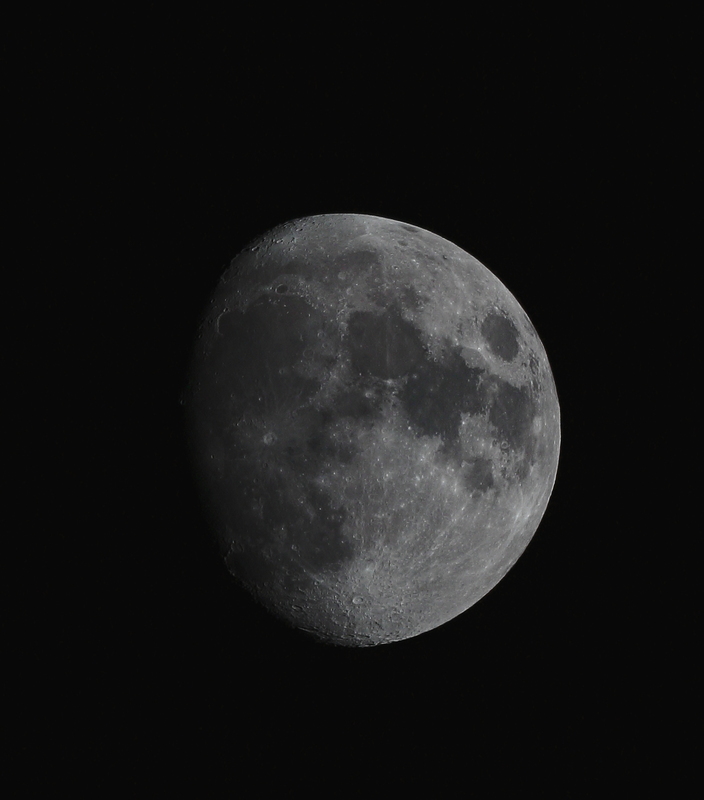 Taken with a modified Canon 60D at 800ISO. 300mm f4 IS lens @f5.6. 14 x 30 second subexposures. Tracking wasnt working well (I forgot to level the mount!). Really could have done with longer exposures. The bright star to the left is Xi persei and its UV emissions have excited a nearby cloud of ionised hydrogen to emit at 656.4nm. Once Id done that, I tried to do some autoguiding through the finderscope – Im not sure that my lodestar was talking to the mount. Will have to explore further. I was a bit surprised to find so much coma aberration in my 80mm refractor pictures – especially when I have a dedicated Planostar field flattener attached. I’ve looked into this a bit and I think where I have gone wrong is to add a 30mm spacer between my camera and the Planostar. The Planostar is optimised for about 52mm from its end to the imaging plane where the chip is. I forgot that the flange focal distance for a Canon EOS system (from chip to lens attachment) is 44mm so that with a M48 (x0.75) adapter attached to the camera, that would be about 52mm in total – I don’t need to add more spacers, I need to take one off!